The internet is widely regarded as a global marketplace. This means the benefits of local SEO can be forgotten. But what about companies which only work in their own geographic area? 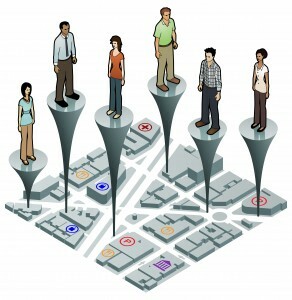 Their potential customers are on the doorstep, so local SEO marketing is more appropriate and makes sense. Realistically, an electrician won’t want to travel 100 miles to mend a fuse! Hence the need for local SEO marketing initiatives. If you want to benefit from targeting your regional market, speak to us about your local SEO campaign. You’ll get honest and down-to-earth advice from SEO professionals who care about what they do. You can contact us at SEO Service Pros or give us a ring now on 0845 601 2237. If we can help, we will. And if we can’t, we’ll say so. Today, the internet is the first port of call for millions of people looking to buy goods or services. Companies have the opportunity to make a significant impact using local search SEO techniques. Gone are the days when interested buyers turned to the phone book to help make a buying decision. Instead, your potential customers will be searching the internet to find relevant suppliers. The advent of social media is a powerful internet marketing tool. Users ask for and receive recommendations when searching for local companies. A local SEO campaign will help raise your profile with prospective customers who are right on your doorstep. Increasingly, people are buying local goods and services. The local products movement started with food and the environmental impact of transportation. Now, the buying local ethos is embracing all business sectors. Savvy people are seeing the importance and the benefits of supporting local companies. And a local SEO campaign will help you access this growing market. Our objective is to achieve first page listings on all your selected keywords. However, as you will recall if you visited our SEO services page, we make no guarantees. Compared to national or worldwide searches which need a full SEO campaign, a regional market is smaller and less competitive. This means local SEO can be more affordable and within reach of the smaller business as well as larger organisations. Even companies working in a national market can’t afford to neglect their local SEO marketing. As mentioned above, many people actively search for local suppliers. Neglecting your local SEO could result in loss of business and reputation in the one area where you should dominate. Companies working on a major SEO campaign benefit from a strong local presence too. This can be used as the foundation for more extensive ongoing SEO campaigns to reach the wider markets. Local SEO is a must for anyone wanting a higher regional profile and increased local sales. We believe we can help you achieve that. Why not put us to the test? Call us now on 0845 601 2237. If you’d prefer we called you, simply send us a message with your local SEO marketing query and we’ll get in touch.